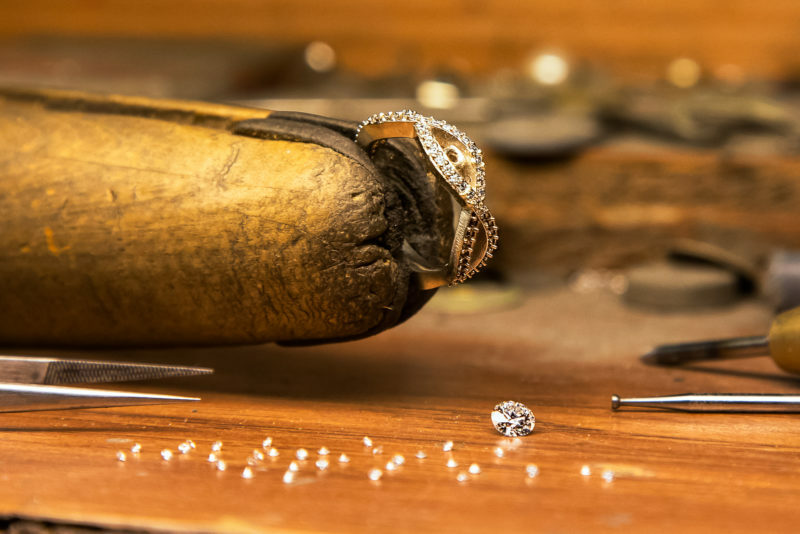 For over 30 years, Kennington Jewelers has been providing custom-made jewelry aimed to inspire and reflect the personality and lifestyle of each individual. 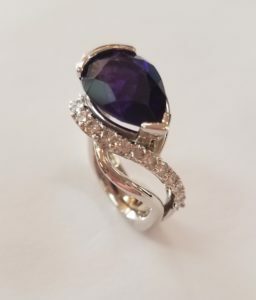 Some clients appreciate design guidance for their custom jewelry, while others have a special look in mind that they need assistance creating a tangible work of art. 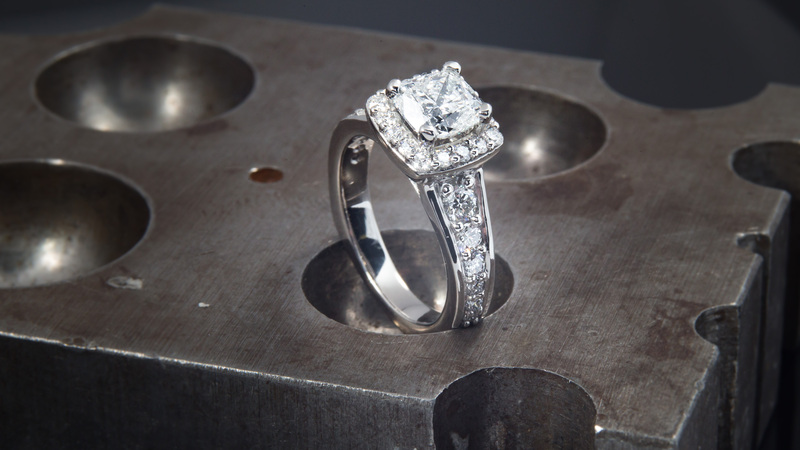 We are able to cater to the needs of each client and create the heirlooms they desire. 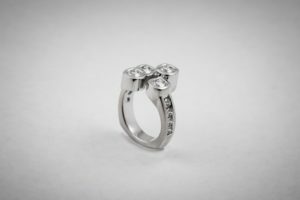 Since 2008, Kennington Jewelers is the the only Central Valley jewelry store with a milling machine for precision wax models. 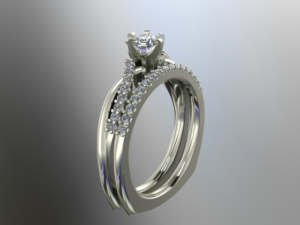 Kennington Jewelers has had the privilege of custom designing over 2,000+ designs for our customers on our 3D matrix program. 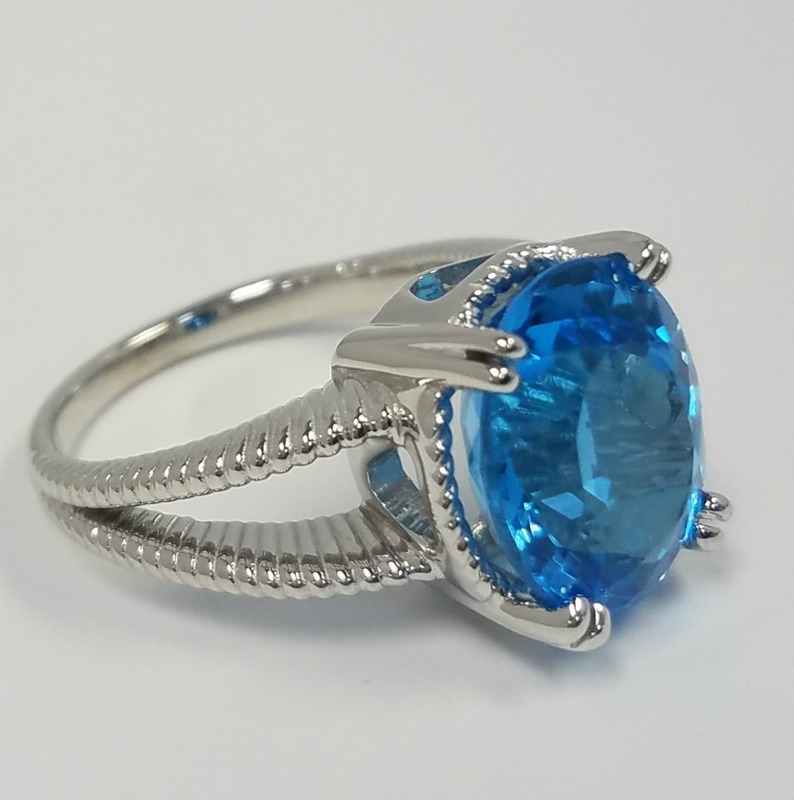 This beautiful blue topaz looks perfect accompanied by a simple rope design. 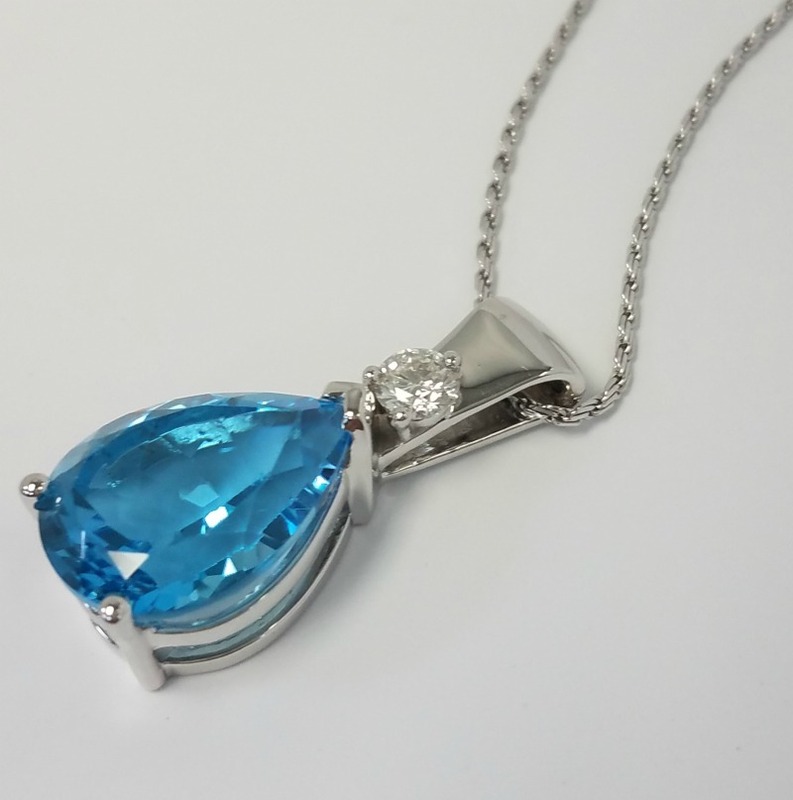 This is a classy statement piece with a large bright blue topaz to grab your attention. 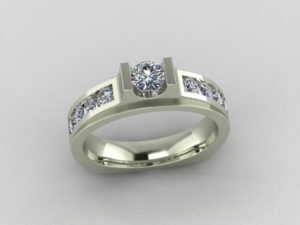 Custom made in-house by our CAD designer and finished by our jeweler who gave it a beautiful satin finish. 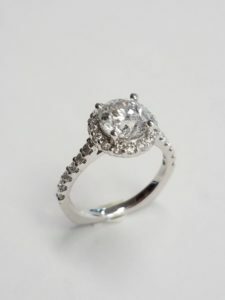 This ring was completely re-made in platinum to look just like the clients original vintage ring. We kept the original design but made it much more sturdy so the client can wear it day to day without any issues. 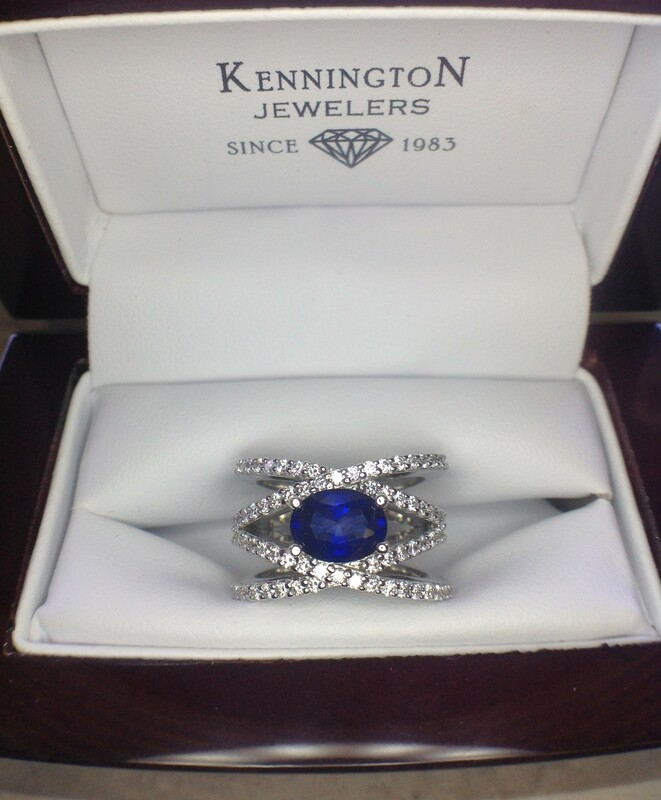 Art deco style ring set in 14k white gold using clients diamonds and sapphire. 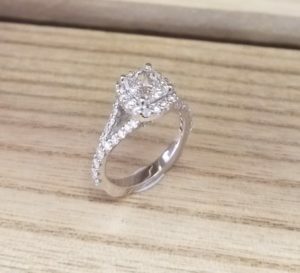 This ring features a .80ct center stone with the client's .25ct (from her original engagement ring) on one side with a matched .25ct we provided on the other side. 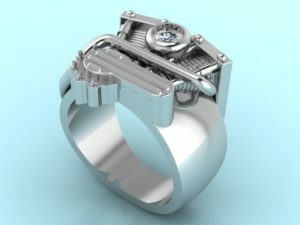 This truly is a past-present-future ring. 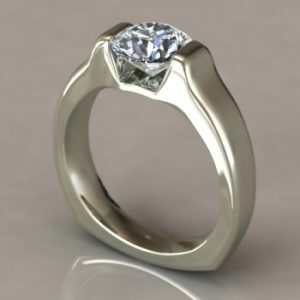 This ring was designed by the client with the help of Kennington Jewelers! It's all in the details! 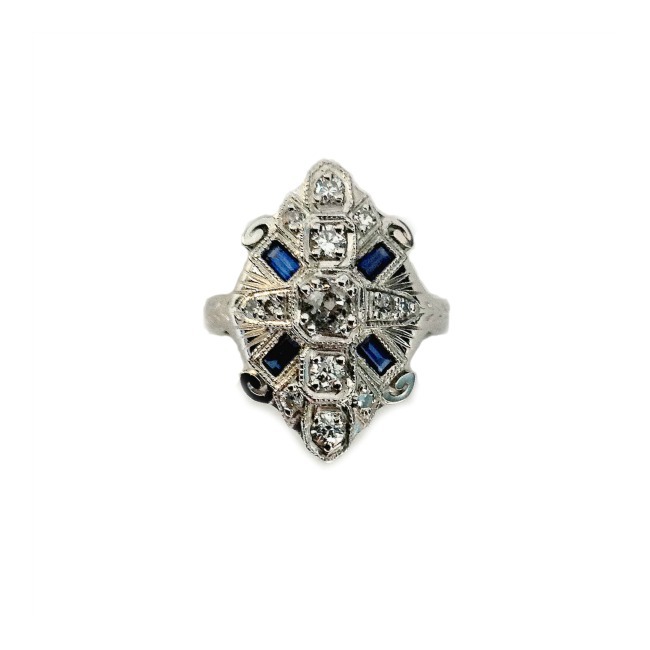 This Ring has filigree work on the top and sides, along with a beaded edge and engraved shank. 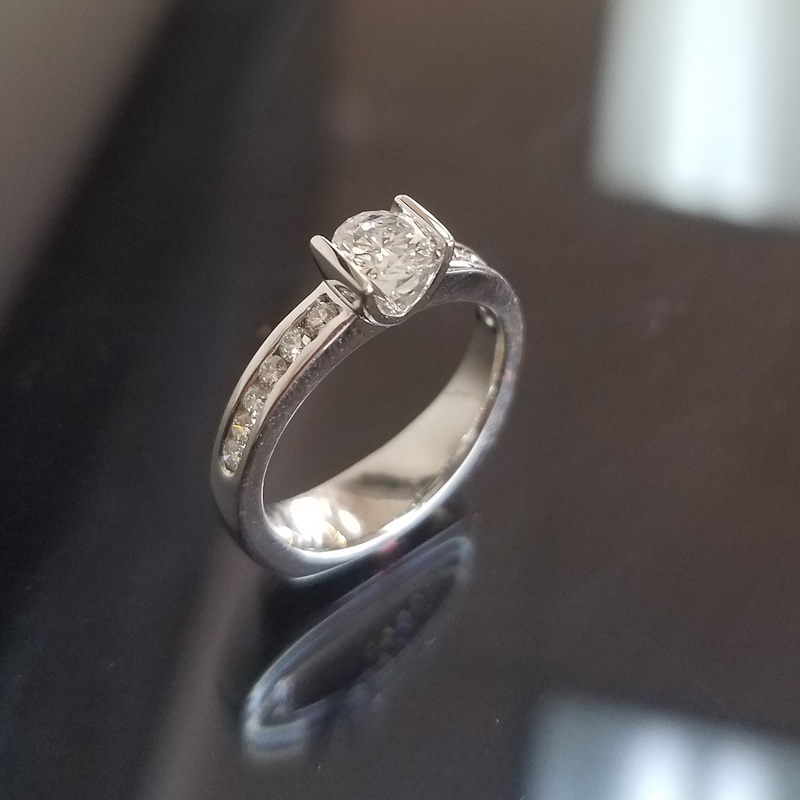 This ring was custom made using the client's family diamond and features a "European shank" on the bottom of the ring for added comfort. 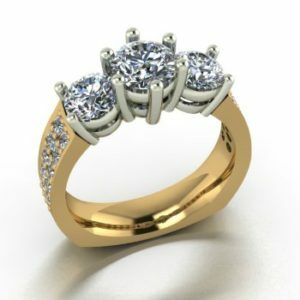 This ring features diamonds set into a channel on opposite sides as well as prong set. 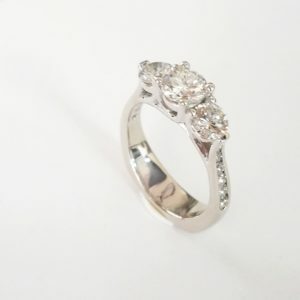 We took stones from three of the clients rings to make this one gorgeous ring! 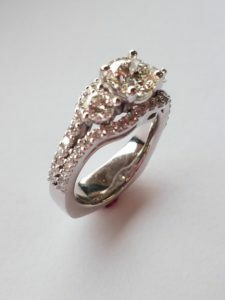 This classy stunner features a halo with varying sized diamonds and a plain European-style band. 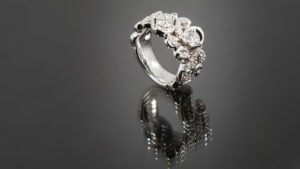 This ring was made using the clients diamonds. 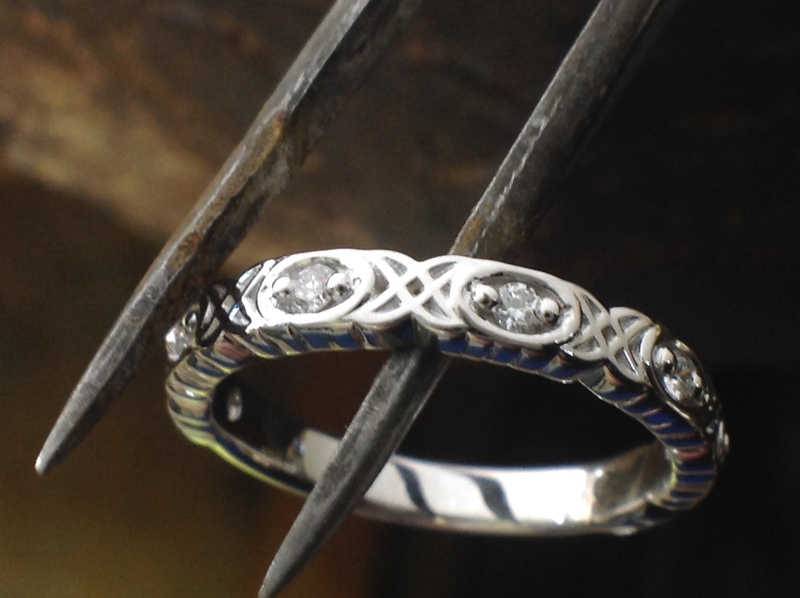 There are three rings soldered together to give it a balanced look. 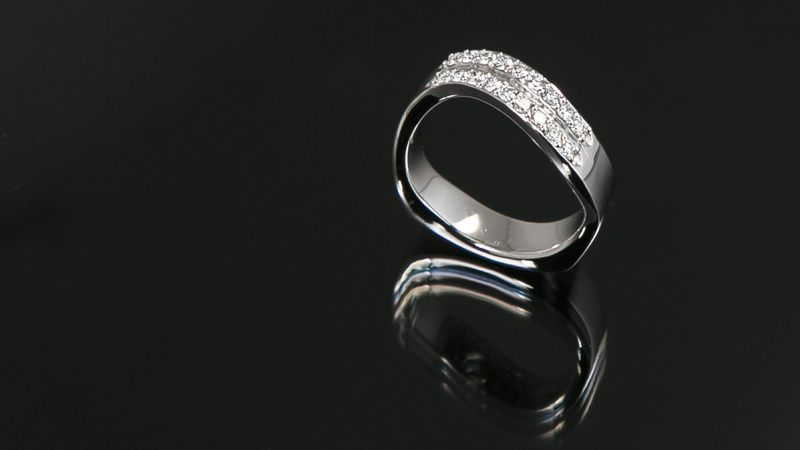 This band is a classic style with a modern twist. 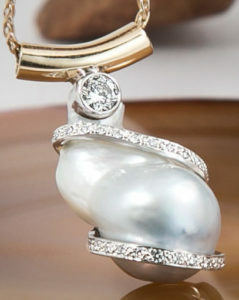 This uniquely shaped pearl is dressed up with diamonds wrapping around and finished off with a diamond drilled right into the top of the pearl. 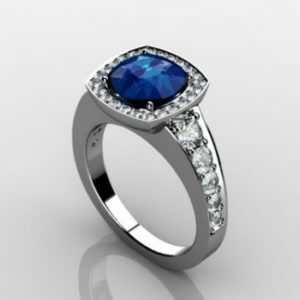 This sapphire screams class with only diamonds in the halo and a plain comfort-fit band. 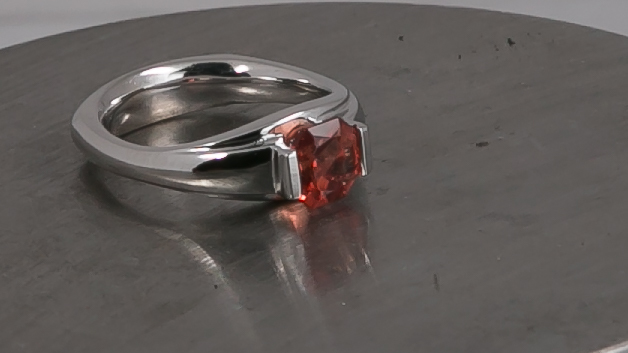 This simple setting really lets the focus stay on the bright sunstone. 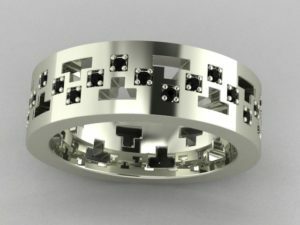 The tapered band on this ring really makes the center stand out. 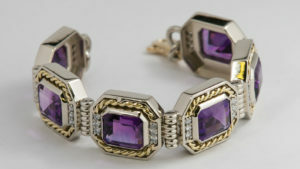 The yellow gold rope around the amethyst really set this bracelet apart! 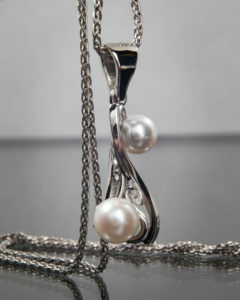 Two pearls swirl around on opposite sides of this pendant giving it a very unique look. 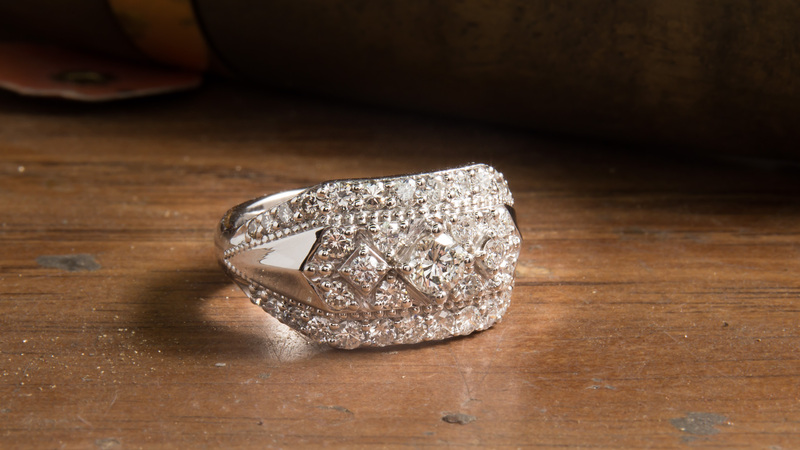 This beautiful ring has a vintage touch with a beaded texture added around the diamonds. 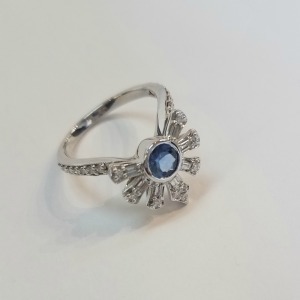 Vintage inspired diamond and blue sapphire ring. 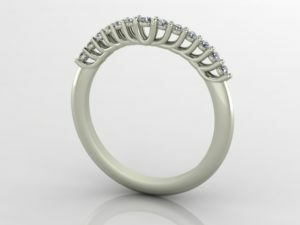 This custom ring has an open filigree look with a solid band on each side to complete the look. 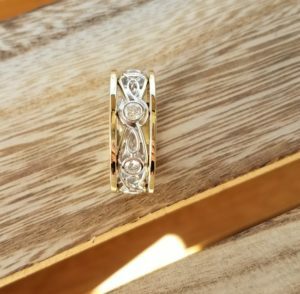 This custom ring features a European Shank (square bottom) which helps the ring from spinning and is a great comfort feature. 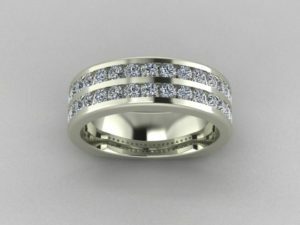 This design is perfect if you have mix matched diamonds at home. It can be done with large or small stones. 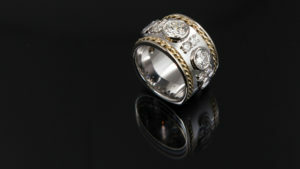 Two-tone wedding ring with yellow gold rope inlay and bezel set diamonds. 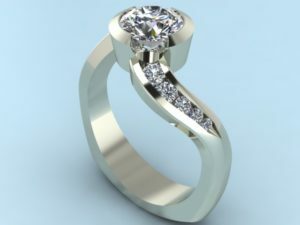 Two-row channel set diamond engagement ring. 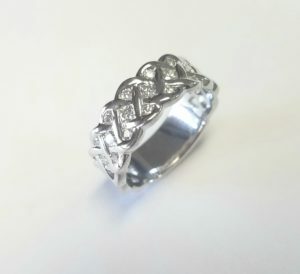 The open braids on this heavy white gold ring are filled with diamonds! 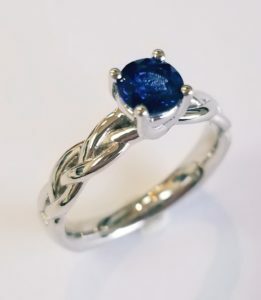 This unique engagement ring has a natural cobalt blue sapphire in the center of a braided white gold band. 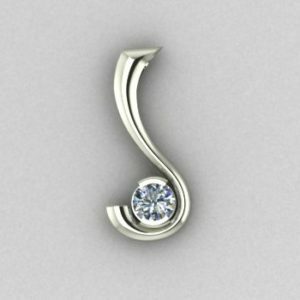 This project was done using the client's diamonds. 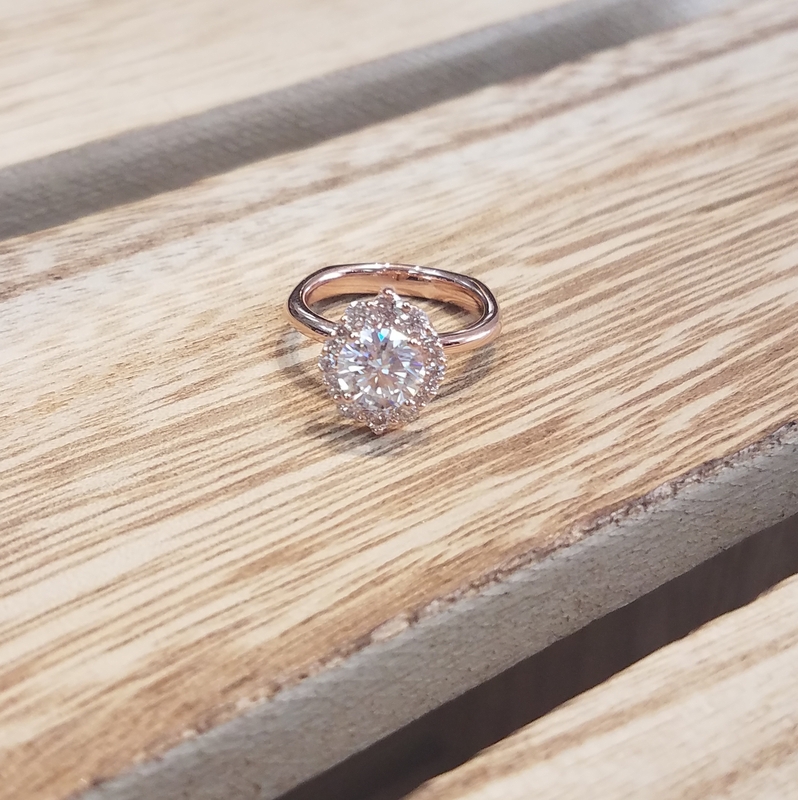 Simple and classy, this ring will never go out of style. 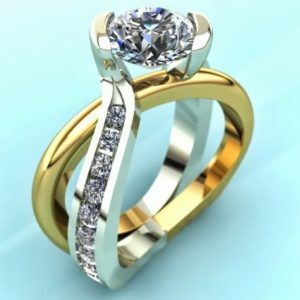 Past, present and future ring with a split band gives a new look to a traditional style. 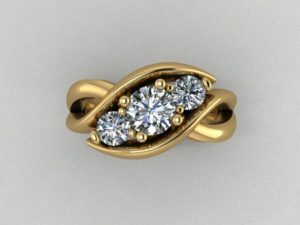 Three round stones are surrounded by yellow gold swirls. 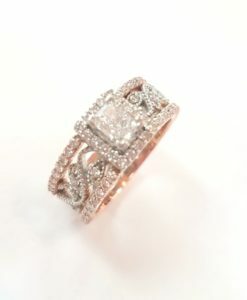 Available in 14k, 18k, white/yellow/rose gold, platinum or paladium. 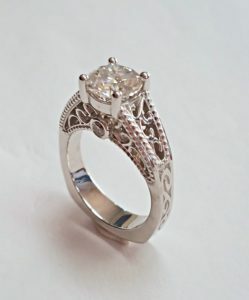 This filigree ring has a wide open work band surrounded by two rose-gold bands on either side. Available in 14k, 18k, white/yellow/rose gold, platinum or paladium. Available in 14k, 18k, white/yellow/rose gold, platinum or paladium. 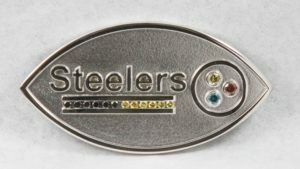 Show your team spirit with a pin or pendant of your favorite team. This pin is in 14k white gold with multi colored diamonds. Available in 14k, 18k, white/yellow/rose gold, platinum or paladium. 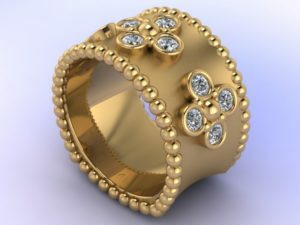 Wide ladies band with large beads and clover-like design with bezel set diamonds in 18k yellow gold. Available in 14k, 18k, white/yellow/rose gold, platinum or paladium. 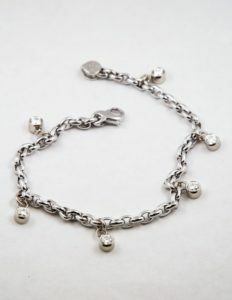 Bezel set diamond link bracelet 14k white gold with a lobster clasp. Available in 14k, 18k, white/yellow/rose gold, platinum or paladium. Bridal set with an oval diamond halo set with trillion shaped diamonds on the side and paired with two diamond curved bands. 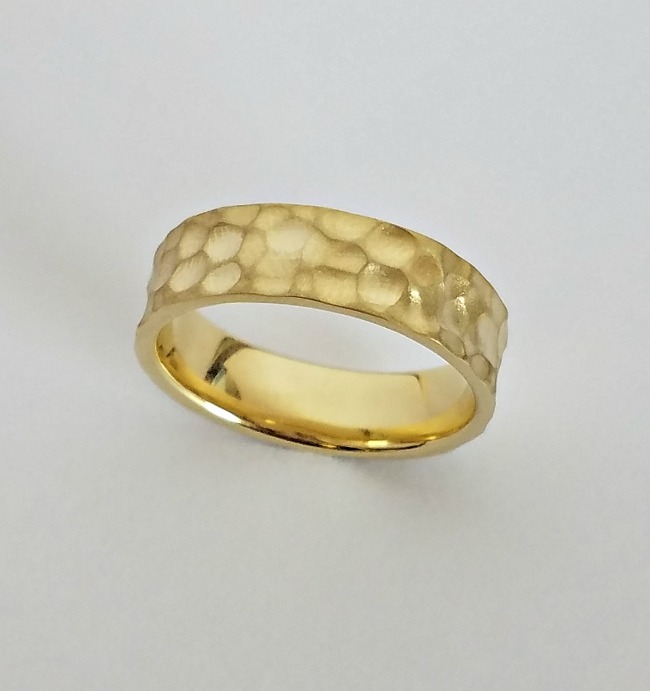 14k yellow gold. Available in 14k, 18k, white/yellow/rose gold, platinum or paladium. Put your ranch brand or business logo inside of a band like this one, great for employee gifts to show appreciation or celebrate a milestone. 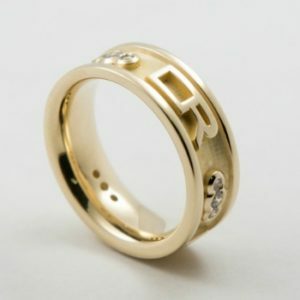 This brand logo ring is in 14k yellow gold and set with diamonds. Available in 14k, 18k, white/yellow/rose gold, platinum or paladium. 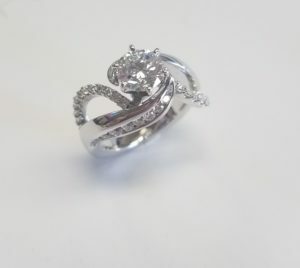 Swirl engagement ring set with a cushion center stone and blue diamonds on the side in 14k white gold. 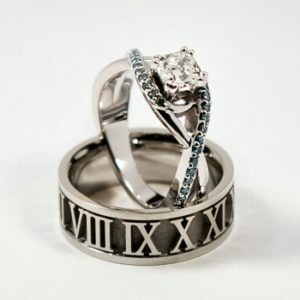 Bottom ring is a men’s Roman numeral band and can be customized to put your wedding date inside. Available in 14k, 18k, white/yellow/rose gold, platinum or paladium. 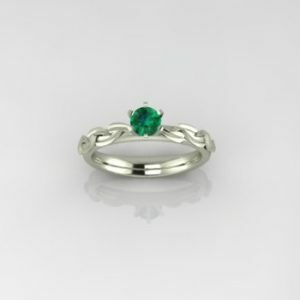 Braided birthstone ring picturing a green emerald in 14k white gold. 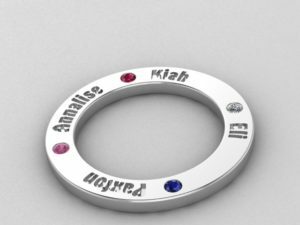 Can be set with any birthstone desired. Available in 14k, 18k, white/yellow/rose gold, platinum or paladium. 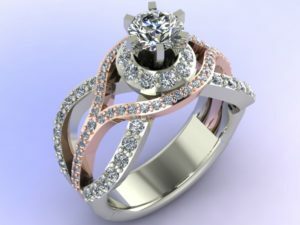 14k White and rose gold diamond swirl engagement ring with a halo. Available in 14k, 18k, white/yellow/rose gold, platinum or paladium. 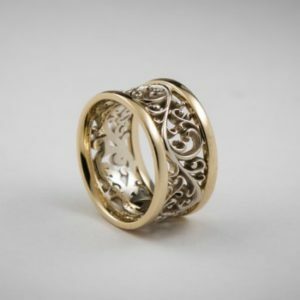 14k two-tone filigree ladies band. Available in 14k, 18k, white/yellow/rose gold, platinum or paladium. 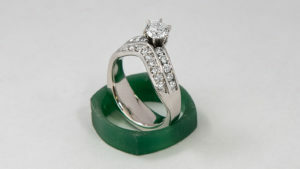 Two-tone swirl engagement ring tension set round center with channel set sides. 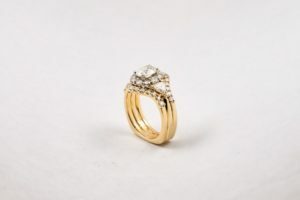 14k white and yellow gold. Available in 14k, 18k, white/yellow/rose gold, platinum or paladium. 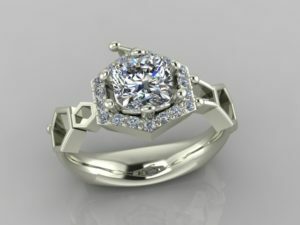 Tension set engagement ring with a round center stone and a European shank in 18k white gold. Available in 14k, 18k, white/yellow/rose gold, platinum or paladium. 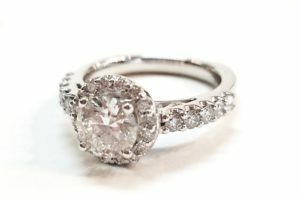 Bezel set cushion cut diamonds with channel set side stones and European shank in 14k white gold. Available in 14k, 18k, white/yellow/rose gold, platinum or paladium. Swirl pendant with a round diamond set in a half bezel in 14k white gold. Available in 14k, 18k, white/yellow/rose gold, platinum or paladium. 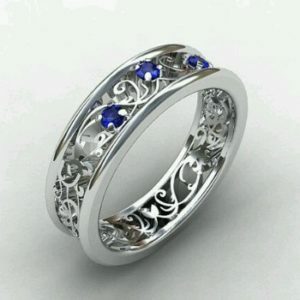 Sapphire filigree band in 14k white gold. Available in 14k, 18k, white/yellow/rose gold, platinum or paladium. 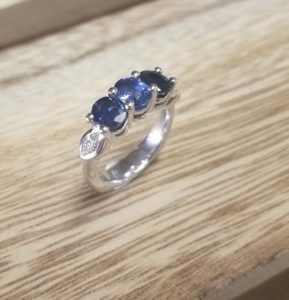 Sapphire and diamond cushion halo engagement ring. 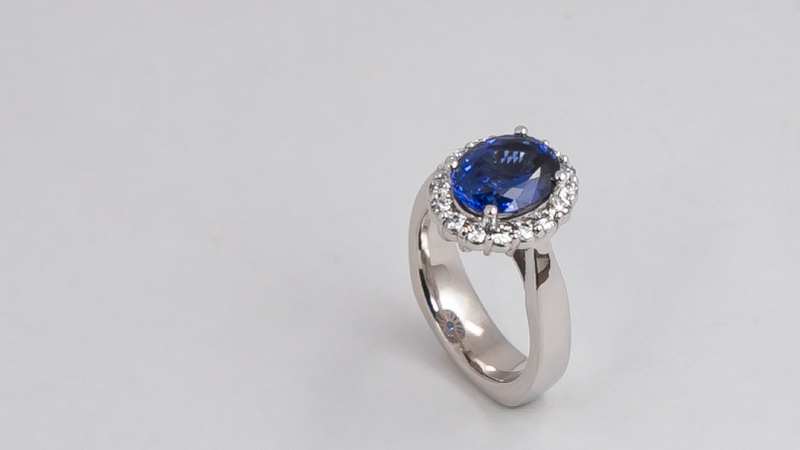 Bead set round diamonds on the side with a blue round sapphire center. Available in 14k, 18k, white/yellow/rose gold, platinum or paladium. Past, present, and future ring. 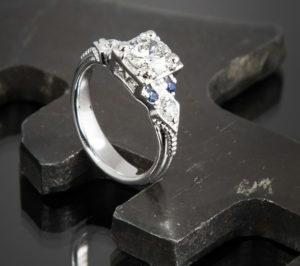 Pave set diamonds down the side, 6 prong center stone with shared prong side stones and a European shank. 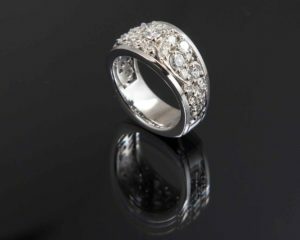 Set in 18k gold and platinum. Available in 14k, 18k, white/yellow/rose gold, platinum or paladium. 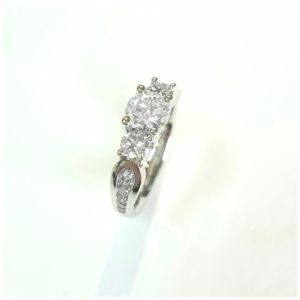 Half bezel set round center stone swirl ring with channel set side diamonds and a European shank. Available in 14k, 18k, white/yellow/rose gold, platinum or paladium. 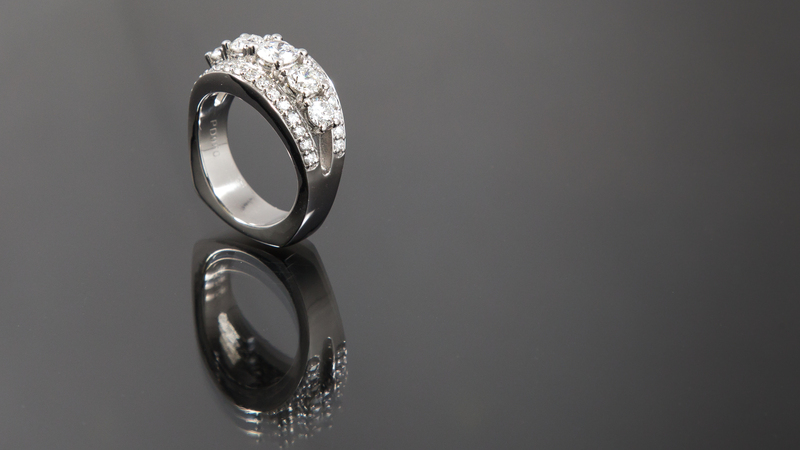 3 stone crown style ring set with cushion cut diamonds with a European shank in 18k white gold. Available in 14k, 18k, white/yellow/rose gold, platinum or paladium. 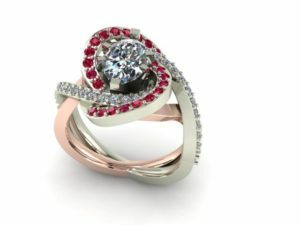 This ring was made with rubies and diamonds in white and rose gold. 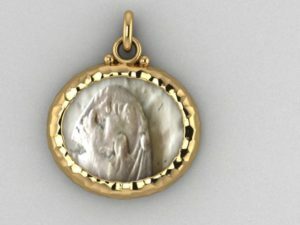 Let us create a personalized gold bezel for your special coins. 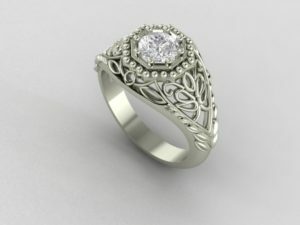 We can create the perfect match to your engagement ring with our "computer aided design" program. 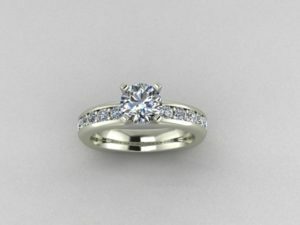 We will import your existing ring into our computer to make a perfectly matched wedding band made to your specifics. 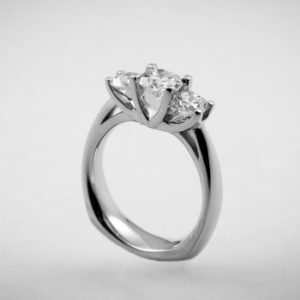 Bar-set round diamond center with channel set side stones. 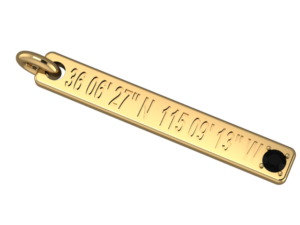 We can create this vertical bar pendant with any special message or stones to make it the perfect keepsake. 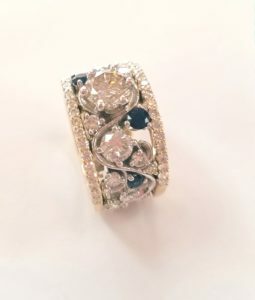 This ring was made using the clients family diamonds that were passed down to him.